’11 Missed Calls’ is the latest book by Elisabeth Carpenter. Anna has always believed that her mother, Debbie, died 30 years ago on the night she disappeared. But when her father gets a strange note, she realises that she’s never been told the full story of what happened that night on the cliff. Confused and upset, Anna turns to her husband Jack – but when she finds a love letter from another woman in his wallet, she realises there’s no-one left to help her, least of all her family. And then a body is found. This bleak and atmospheric story, is written in the past and present tense and is seen through the narrative of mother and daughter, Debbie and Anna, who are both struggling with post natal depression after having their daughters. But when Debbie suddenly disappears from Anna’s life, Anna spends the rest of her life wondering whatever happened to her mother, as well as questioning her own sanity when things don’t add up. The story is an interesting one, as both perspectives are so similar, the only difference being the time and setting of the characters. I found myself really sympathising with them, particularly Anna who not only struggled with being a new mother, but also dealing with the possibility of her mother coming back in her life after years of being apart. Filled with many twists and suspicious characters, this suspenseful story really held my attention and the sub story about post natal depression was particularly interesting as it showed how attitudes towards the illness changed through the years. 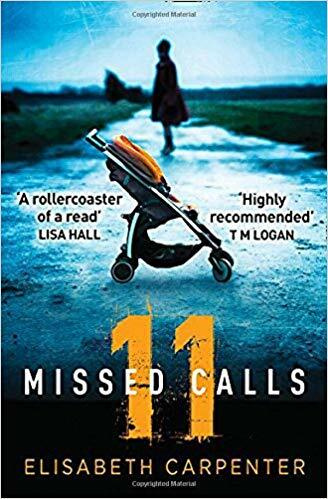 ’11 Missed Calls’ is a cleverly written story about family mysteries, secrets and the strength of a mothers bond. You can buy 11 Missed Calls from Amazon and is available to buy from good bookshops.